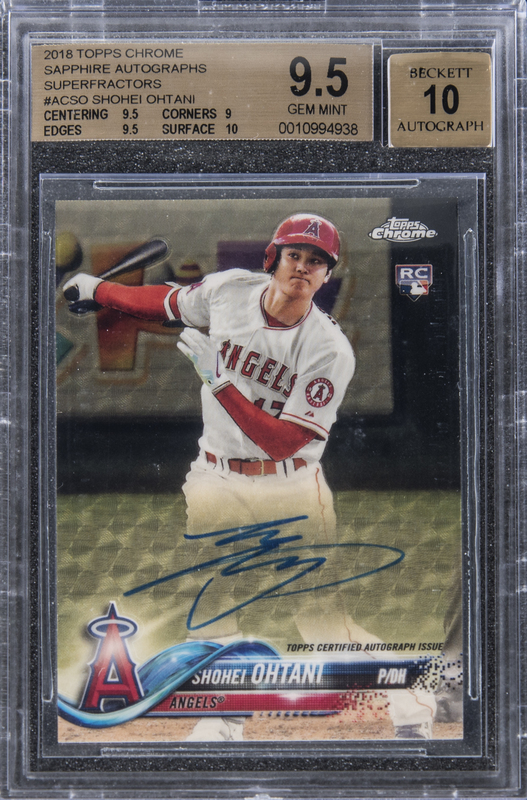 Encapsulated and graded GEM MINT 9.5 by BGS, with signature graded "10" by Beckett. Rookie Card. This super-premium collectible showcases a modern-day phenomenon: the young Japanese player who successfully emulates Babe Ruth as a legitimate two-way threat. Ohtani's hitting and pitching skills resulted in an A.L. Rookie of the Year Award in 2018, and more accolades are bound to follow in future seasons. 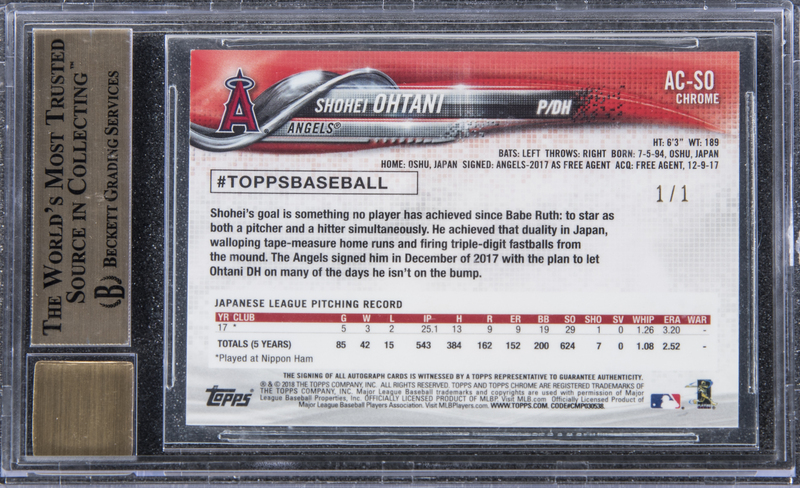 A bold, blue ink Ohtani signature graces this item's obverse. The card's BGS condition report: Centering: 9.5, Corners: 9, Edges: 9.5, Surface: 10. A logo on the card's front attests to the authenticity of the signature and serves as Topps' COA. The wholly unique, limited-edition piece is serial-numbered "1/1." A captivating and truly exclusive card of a player who's destined for stardom, in shimmering Gem Mint condition.